Someone won the Powerball Jackpot of $425 million last night here in the US. From the news report, the winning ticket was purchased at a convenience store somewhere in Northern California. As of the time of this writing, the winner has not come out yet to claim his/her prize. For sure he/she will have a lot of distant relatives and instant friends that will be calling. $425 million! That is a lot of money. You can buy the most expensive car you can think of, like a collectible 1963 Ferrari 250 GTO racer, worth $52 million. Eight of them! Though I don’t think there’s eight of that kind existing today. Or you can buy the most expensive home, like the Henley Mansion in Berkshire, England with a value of $218 million. And you still have a change to buy the next most expensive mansion as well. For the rest of us who did not win that lottery jackpot, we’ll just continue on dreaming. I don’t buy lottery tickets though. Partly because I don’t believe in luck. Don’t get me wrong, I don’t have anything against people who buy lottery tickets. And for those who were “lucky” enough to win big lottery prizes, maybe you can give me some “balato” (share) to change my perception. For me, what I believe is that we make our own luck. It is on how we work and persevere that will determine our fortune. Not on what the tea leaves reading, nor on what the fortune cookie says, nor according to the squiggly lines on our palms. Well, if the lines in your palms are from scars and callous due to hard work, then that will determine your fortune. As a society though, we believe in luck and getting lucky. 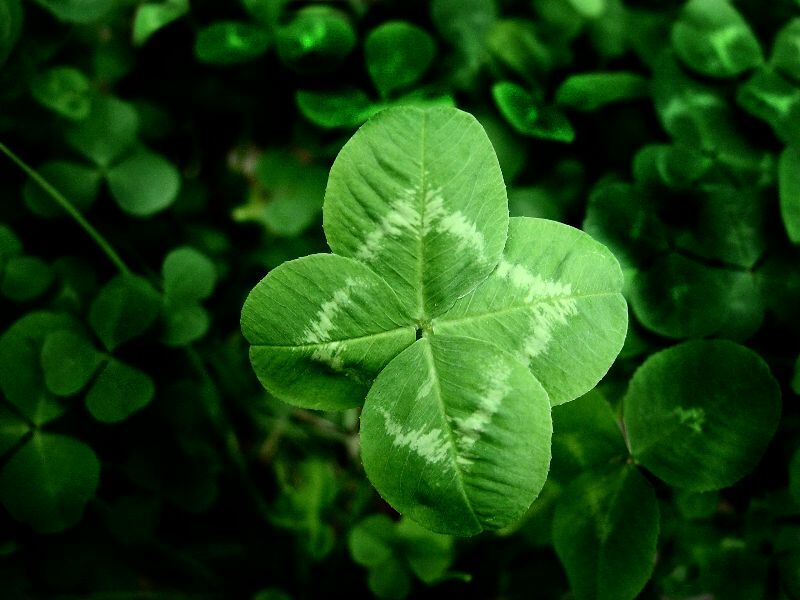 That’s why we keep a lucky penny in our shoes, or why we are in perpetual search of a four-leaf clover. We even wish each other “good luck” all the time. Can this leaf bring you luck? Few days ago, I asked my son to throw all the junk mail to the recycling bin. As he was taking them out, he noticed one mail, which was an advertising card from a car dealer, that was like a scratch off lottery ticket. He asked why we did not even bother to scratch off the ticket and see if we got a prize. So he threw the rest of the junk mail but hung on to the card. Of course you and I know, that the advertisement card with three scratch off code was just a gimmick to engage potential buyers to visit the car dealer’s showroom. It said in the card: match all three and win up to $20,000! The next thing I heard was my son shouting, “Dad, we won $20,000!” as he excitedly scratched off the ticket and found 3 matches. Gee, why was I not surprised that all three matched? He was thrilled to show the “winning ticket” to his mom and his sister as well. I tried to explain to my son, that it was not what he think it is. Yet he continued to blurt out, “we won 20,000 dollars!” The grin on his face I thought was priceless, that it was worth more than the $20,000 he thought we won. When I tucked him in bed that night, he was still smiling and was still repeating, “we won $20,000.” I believed he already understood that we really did not win anything, but he was just being silly to amuse me. I also went to bed happy and feeling lucky. Not that we have won $20,000. Or that we won a new car. And definitely not because I hit the Powerball jackpot. Because I need to buy a lotto ticket first to win, right? I am “lucky,” because I am surrounded by the people I love. And that’s enough for me. Now that I’m feeling lucky, should I buy a ticket for the next Powerball?